I love when I have the luxury of being able to see families grow and children develop! I first photographed this awesome family years ago and each time it is always so fun to see their love for one another and also how big these kids are getting! Here are a few of the 300+ images I loved from their session, enjoy! I always love when I get the opportunity to photograph multiple families individually within the same extended family! Back in 2015 I was lucky enough to meet this family and just last week was able to photograph her sister and her family right in their home backyard! 3 boys under 3 years old kept me on my feet but they were so adorable and such a pleasure to meet! Here is a sampling of some of the session! I always stress with clients the importance of holding a photo session 2 hours before the sun sets. This time of year that means about 6:30 depending on the location we photograph at. It was such a pleasure to photograph this family last week and I just love the way they love each other - it shows in the photos. Thank you Quan family for being so put together and beautiful! I had over 200 images in this gallery and so this is a small sample of some of my favorite ones! We shot this session in the evening and started at 6:30 when the light was starting to fall low into the hills. I adore this family and these 2 little girls were just the most loving and cute sisters! Almost booked for the remainder of 2018 so please contact me if you are interested in a session - happy summer everyone! I was lucky enough to be welcomed into the home of these amazing people just 8 days after they had their second beautiful daughter. I first met big sister 2 years ago when I photographed her through my boutique school photography division of my business. When photographing newborns I try and get as any authentic images as possible as well as lots of classic shots. The moments when you have a newborn home are fleeting and its always an honor to capture them. Here are a few of my favorites! I typically photograph newborns in their homes and so this outdoor family session with an 8 day old was such a fun treat. 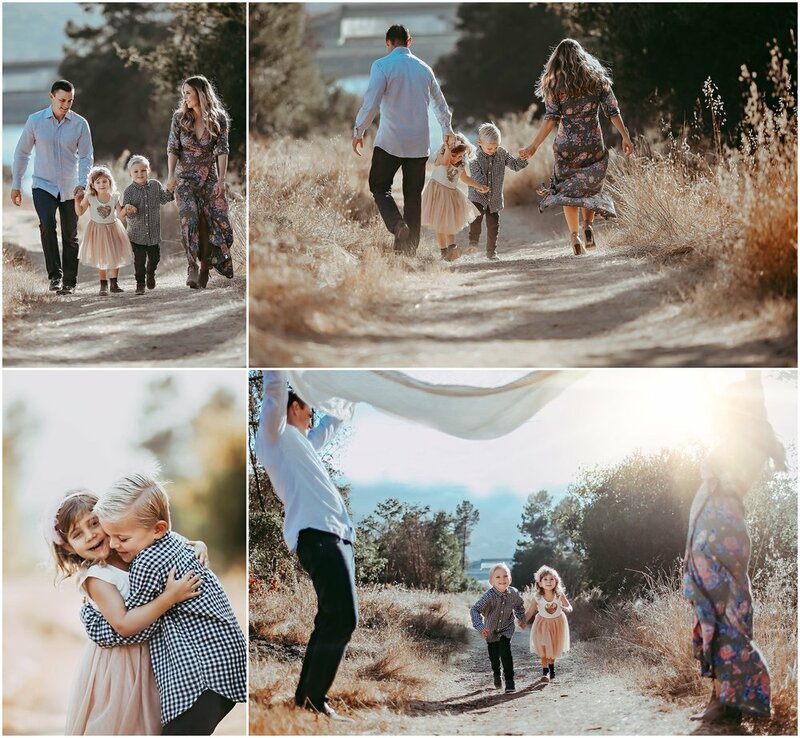 We went to a great local park in Oakland, CA close to this families home and had fun focusing on brand new big brother but also capturing the feelings on a new family of 4. 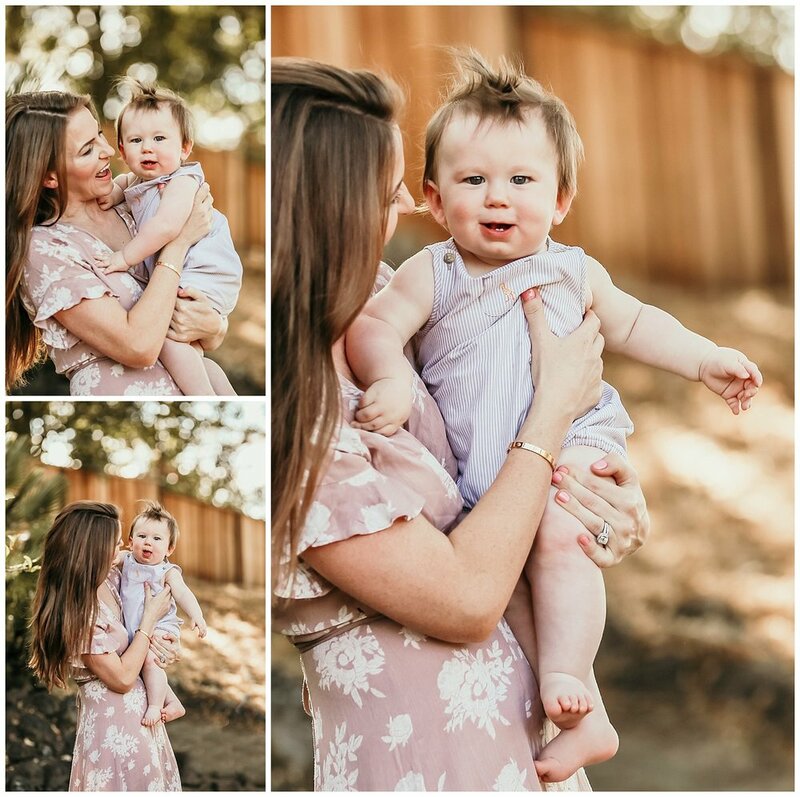 They are so beautiful and here are just a few of my favorites from our session! This has been one of my favorite sessions to date! I was honored to be able to photograph Natasha of Natasha Grasso Jewelry and her beautiful daughter, Ella in the golden hills of Moraga. 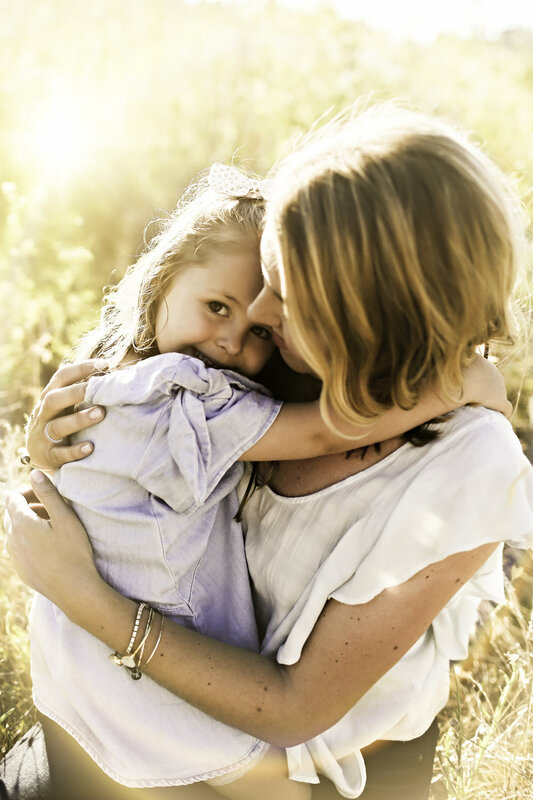 Natasha's vision for the session was magical, light focused, with the goal of creating images that showed her and her daughters bond in a beautiful and artistic way. It was also fun that these photos were taking the week Ella turned 4! Had a hard time picking out only just a few to share on my blog......I was overwhelmed with all the gorgeousness! I had such a fun evening photographing this adorable family of 4 the evening before Easter! We met up in the hills of Orinda at one of my favorite little spots tucked away and spent about 45 minutes playing and running. This little girl was so relaxed and willing to have some fun! It was slightly cloudy but i was still able to catch some low sun in a lot of the shots so I was so happy with the results and the way their entire gallery turned out! On the horizon I have a couple of huge projects in the works including next week I am photographing one of my biggest pre-schools here in Moraga! If you are interested in my pre-school photography business please click here for more info! If you have a child at Growing Tree Pre-School and need more information about photo day please click here! Plus, I am so excited to announce that I have written a book! For those of you that are interested in learning your DSLR camera this is going to be just the resource for you! If you have ever wondered how I capture the shots I do and what equipment I use- I break it all down for you in my new book - coming in hardcover by Christmas! Stay tuned for more info! This was such a fun session for me! These cuties were some of my first clients when I photographed their newborn session over 4 years ago! Fast forward a few sessions later and look at these big 4 years old sisters now! Such a pleasure as always to be able to photograph my clients year after year! Still time to book for December - reach out if you are thinking about a session! I had such a blast with this gorgeous family and their sweet kids! The older twins coupled with their baby 1 year old brother made for some fun in the sun! One of my favorite locations to photograph at both Neha and her husband was a pleasure to work with - here are a few of my favorites :) Enjoy!! I has so much fun photographing this beautiful family! I am trying to slowly catch up on my blogging because I have so many amazing sessions to share. This session was so important to me because I had the awesome opportunity to partner with SleekLens to review their amazing portrait perfection action bundle. If you are a professional photographer, or just love taking photos of your children this action set is one worth investing in. The rich dramatic colors, the complements to sun flare and the time it saves editing pay for itself in the first few uses. It is compatible with PS-4-6 and CC and super easy to tailor to your own editing style. Don't worry, if you are a sole LR user they make amazing presets also! Plus, it is on sale now! I mean, just check out this backlight and the way the actions define the colors - gorgeous! Loved working with this family and all the gorgeousness they brought to the session. Erika and Matthew were such a fun couple to work with! 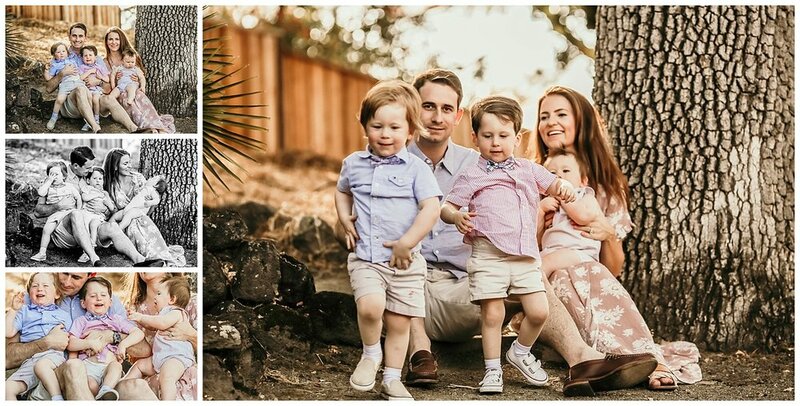 They have adorable children and wanted to celebrate their last few days living in San Francisco before moving back to the East Coast where they are originally from....and what better way then capturing some of beauty of the city mixed with their family?! It started to rain on and off during our shoot, but that didn't stop them - they were up for it! Thank you Erika and Matt for spending your Sunday evening with me! Safe travels! This little one stole my heart. Six days old and oh so precious. I was lucky enough to photograph baby Riley on her 6th day of life and have been photographing her big brother for almost 4 years now (Happy early 4th birthday Owen!) I also happen to live right down the street from this family and Rory (mom) is a friend of mine as well. If you are thinking about booking newborn photos, no hesitate - these moments are fleeting and having them capturing in an image forever is priceless. I mean, look at those toes!!! Sweet baby Sloan was the first tiny client of 2017! I had the pleasure of photographing her at 2 weeks old this past weekend :) Her mother, Jordan and father, Brian were so sweet and even with all this rain in California, they still had nice light in their beautiful SF home. We even got Grandma (who was visiting from Georgia in a few shots!). Precious baby Sloan was adorable and I loved the opportunity to be able to capture her first few weeks of life. Hope to see you again as she grows Jordan + Brian! Congratulations again! Up next on the blog is this beautiful family of 4! Mom dressed this family so perfectly for the setting they choose. These 2 kids were so fun the session moved fast and was fun! Lots of laughter and lots of energy all with a gorgeous backdrop! Here are a few of my favorites from this Fall session. Up next here in my month of catch-up is the O'Brein family! I just LOVE seeing this family every year and the boys are adorable and so full of energy! Thanks Allison and Patrick for being such great sports and always being willing to have fun! Here a few of my favorites from the session! I am thrilled to be catching up on some blogging of some awesome sessions I was lucky enough to shoot over this past Fall! I was buried with photo work - thank you ! thank you! thank you! this year and was completely booked by August for the rest of 2016! I still have a bunch of projects in the works currently, but i'll be highlighting some of my favorites over the next few weeks! First up is this gorgeous mom, Tara and her amazing little family of 4! Welcome baby Miles!